Lifetime has been breaking out the event movies more and more, which has been leading to some ratings wins. So time to check out Lizzie Borden Took an Ax, the new take on America’s first legendary criminal starring Christina Ricci as the infamous Lizzie Borden. 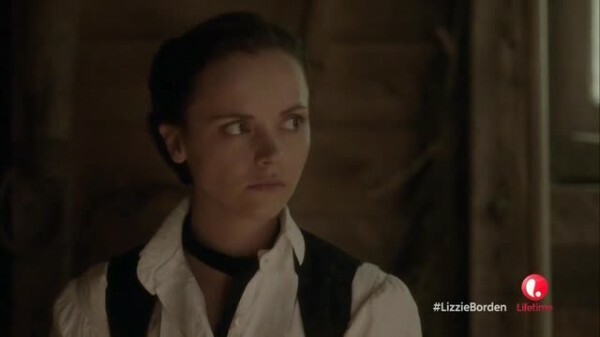 Lizzie Borden Took an Ax certainly shows its chops as a higher caliber Lifetime television movie, but it’s still a television movie and suffers from the limitations thereof. That being said, the majority of the film is well paced and gives us a good look at both Borden’s home life before the killings, and the drama surrounding the trial and aftermath. And some of it is pretty fun, too! Christina Ricci’s attitude and attire as Lizzie Borden and the more historical setting just can’t keep one from thinking this could be a story of Wednesday Addams all grown up and killing on her own. 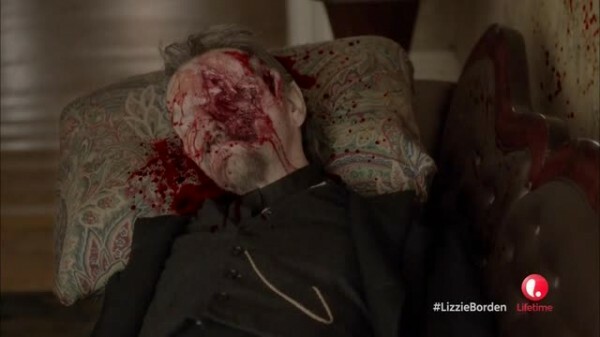 Lizzie Borden Took an Ax does a bit to capitalize on this, with Ricci wandering around being creepy from time to time. Where Lizzie Borden Took an Ax gets weakest is that it’s not really a murder mystery, it’s a psychological look at Lizzie Borden. Except it isn’t, really, and might be a murder mystery after all. Or is it? The film’s lack of pure focus is annoying, and despite the script being more tooled for the drama of the trial and the “did she do it?” aspect, the editing has already made up its mind, and doesn’t hesitate to show you via insert after bloody insert. These rapid cuts (ha-ha!) are cool and all, I just wish they were more impactful (ha-ha!) with regard to Borden’s grip on reality. As the weight of the trial bears upon her, Borden becomes medicated and thus less lucid during testimonies. There should be some cool drama here contrasted to her upbringing, but it’s all disregardful for a more straight narrative. 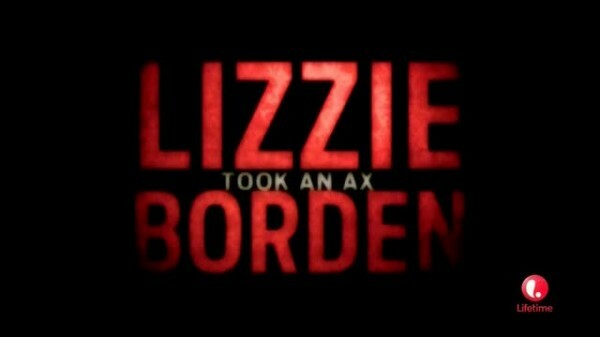 Lack of focus aside, the parts of Lizzie Borden Took an Ax that are fun are very fun, and Borden is a bad girl having fun. Stephen Kay did some research on Lizzie Borden, and theories and conjecture are presented as facts, but also innuendo that might only be picked up if you are familiar with the case. Other parts are not so subtle, and things are fudged a bit for dramatic effect. Things are kept mostly contemporary, except occasional modern rock/rockabilly used for scene transitions setting up the next act. Lizzie Borden (Christina Ricci) – A willful daughter sick of her controlling father and controlling 1890s lifestyle, so she goes out and parties, even if it means stealing and walking alone at night. Is a Sunday School teacher but “only on Sundays”. The film takes great joy in having Lizzie Borden act creepy, often popping into the scene to be disturbing and even creeping out her sister. I half expected her to be floating above the ground as a creepy ghost or something. Andrew Borden (Stephen McHattie) – The Borden patriarch, a domineering man who never found a penny he couldn’t pinch. Is shown ripping off his workers and making enemies all over town. Has a rough relationship with his youngest daughter as she rebels against his controlling ways. But she also uses their connection to her advantage, trying to turn him against his new wife. He gets whacked. Emma Borden (Clea DuVall) – Lizzie’s sister, she’s far more reserved that Lizzie. Away from town at the time of the murders, she returns to find her world in disarray, but stands by her sister through all the tragedy and trials. At least until a party happens. I’ll just go ahead and say that it is very likely Lizzie Borden did kill her parents and got away with it. All alternative theories require ridiculous logistics. There is some question on just how the killings were done, the quick flashback flashes show bits and pieces that align to one particular narrative, but are loose enough that they could be explained in several ways. They also run with the fact that Borden was possibly a lesbian, but not in a sensual exploitative way. It’s just there in the way she handles herself in conversation with one or two women, and an offhanded remark to her father. Lizzie is presented as strong willed and bullheaded, making her remarkably like her father, who has the same traits. Hence they are often at odds, and Borden stealing from her parents and sneaking out to attend parties does not help. 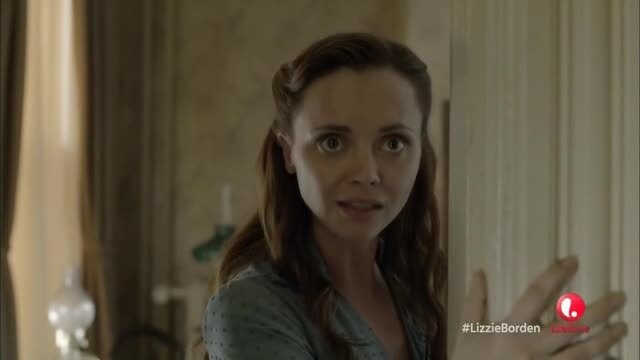 Lizzie does have an edge in with her father, attempting to use her daughter’s charms to turn him against her stepmother (one theory for why the killings happened). If anything, Lizzie is a big brat, and had her father not been struck down, he probably would have gotten a visit from three ghosts during Christmas. Most of the movie focuses on the trial, which is presented with some of the traditional movie courtroom flare. Since this is the 1890s, laws were a bit different, so some of the dramatic events happen a bit odd, but not so differently that they become distracting. And like so many high profile cases, the police botch things up very badly, ignoring evidence, messing up the crime scene, allowing Lizzie to destroy a dress that may or may not have had blood on it, forgetting to advise her of her rights. Basically these cops were the Keystone Cops before the Keystone Cops ever stoned a key. The prosecution rests on a lawyer attempting to make a name of himself, and the case becomes one of the first big media murder trials in American history. Nancy Grace would eat her own children to get a chance to cover a case like this. Lizzie walking through the crowd of reporters each day before the trial resonates with the modern celebrities pushing through the swarm of paparazzi to just get on with their day. 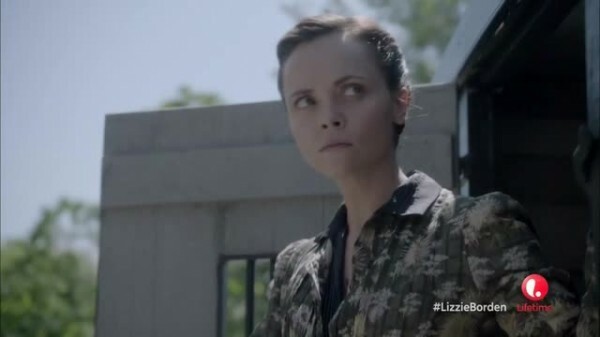 Fun is watching Christina Ricci play Borden, the disturbed child who is caught up in a media firestorm and probably did something bad, but maybe not, and still has weird side priorities that show she’s either not taking things seriously or doesn’t realize just where things are. Double that down with a cocktail of drugs running through her system and Ricci just shines. Clea DuVall is stuck being the stick in the mud because her character is so reserved that she can’t help join the scene chewing. Lizzie Borden Took an Ax is an uneven take, but Ricci’s portrayal is worth your time, and despite the few flaws, things are fun enough to be worth your time. Those who are knowledgeable about Lizzie Borden (or just read the Wikipedia entry!) will pick up on a bunch of things sprinkled in. If Lifetime can keep delivering fun female killer movies, then they’ll become a force to be reckoned with.